All your life you have been told certain things about your skin that you have simply taken to be true. Things like greasy food will give you pimples, or that you are bound to age just like your mother. Luckily for you there are several misconceptions when it comes to skincare and we’ve compiled a few of the most common below. Genetics plays the biggest role in how your skin will age. Many people think that because their mother started getting wrinkles when she was 38 that they will too. 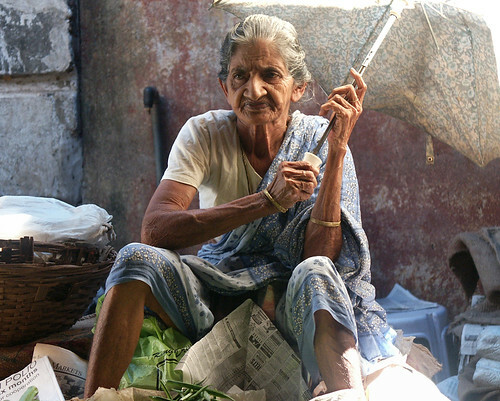 You have been taught to believe that you will inherit your family’s tendency to develop wrinkles early or that we are going to be wrinkle free well into our 50s because our grandmother was. That is simply not the case. You have to consider the life you live including your stress levels, sun exposure, how well you care for your skin, your diet and so much more. True you are genetically predisposed to how you look, but your habits are a major factor in considering how you will age. So check your bad habits at the door. You can start by not smoking, wearing sunscreen, maintaining a healthy diet and finding a good skin care regimen that works for your skin and sticking to it. Open any fitness magazines, turn on the TV or peruse the internet for exercise advice and chances are you’ll see at least a few adverts for sports drinks. The images used to promote these products make it look as though if you buy this particular product you’ll soon be sporting a six-pack, looking lean and mean and conquering all your opponents in your chosen competitive activity. You’ll certainly be crushing it in the gym! Reading between the lines it would seem that sports drinks are actually integral to your success but is this really the case? There are hundreds if not thousands of sports drinks for you to potentially choose from but in reality, there are three main types. They all share a common ingredient – sugar. This might be labeled as dextrose, glucose, fructose, xylitol or maltodextrin but the main reason any sports drink gives you energy is its sugar content. The amount of sugar in each type of sports drink is how it is characterized. Every scientist worth its salt has been desperately trying to find the latest weight loss pill. Whoever does this will cash in on a market that's worth billions per year. But so far, there's been nothing lasting. Sure, a lot of promises have been made, but we're still pretty obese. The secret may lie in our fat itself. Something that our fat is producing right now may be the key to easily losing weight. 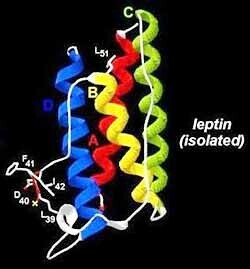 This is a hormone called "leptin," and it may prove to be just what we've been looking for. But hold the phone. If you Google "leptin," you'll find plenty of results for pills that have leptin. All you've got to do is take some of this and you're good to go, right? Before we understand how leptin works, we've got to understand our history. Not just the history of fast food or trans-fats, but the history of humans. As you are probably aware, going to the gym is obviously a great way to trim some of that excess weight or to add some extra muscle mass; and so it is no surprise why it is a popular place with our fellow man. However, what you may not be aware of is the unspoken code of conduct that exists in every gym. So I’ve created my own little list that will serve as your guide to behaving like gentleman in the gym. You wouldn’t be too pleased if you came to use a piece of equipment only to find a nice little puddle of someone’s sweat on it, would you? So do unto others as you would have done to yourself, and wipe down all equipment after use. It will take a few seconds out of your work-out and you won’t be building a bad reputation for yourself at the gym where you are a regular. Most gyms will provide towels and a form of disinfectant for users; so once you’ve finished on piece of equipment give a quick wipe down – even if you can’t see any sweat marks! The moment by moment awareness of life is commonly referred to as mindfulness. Although it sounds so simple, practicing it daily is not that easy since human beings are easily caught up in self-talk and own thoughts that make it hard to notice life going by. This tendency to rush through life is also reflected in eating habits. Most people eat one meal after another without being aware of what they are eating or how much they have consumed. Applying the art of being mindful simply means a return to paying real attention to life. It is amazing how people notice all sorts of good aspects of the food they have been eating once they really begin to pay attention. Mindful eating does not mean going on diet or giving up certain foods, rather it is about experiencing the food in a deeply intensive way such as the pleasure of eating it. You could be eating a hamburger or any other snack mindfully which means that you get to enjoy it more than if you were gobbling it down. On the other hand you can eat it halfway and decide you body had enough. While it has been practiced and observed in China for centuries, acupuncture has never found mainstream acceptance in the US. To many, this ancient practice was merely the placebo effect in action, an unproved method of alleviating pain by harnessing the power of the mind through unsubstantiated claims to true medical benefit. 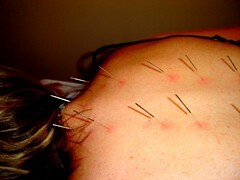 A new study however shows that acupuncture delivers a 30% decrease in chronic pain. While not the first medical study to show demonstrate this, the new study is unprecedented in its size and thoroughness. Acupuncture has grown rapidly in the last decade, with over 3 million Americans using it to help alleviate chronic pain of all kinds. The military now prescribes it as part of the rehabilitative treatment given to wounded war veterans, and California recently passed legislation that includes acupuncture in the list of treatments covered by the nation’s new health law. This article is written by Jim Banks who writes for http://www.accessrx.com where you can find out the Cost of levitra. You might be surprised to learn that every person, male or female, has facial hair. For many men, the facial hair grows in darker and thicker, and will require shaving to remove. Unfortunately, some women also have to deal with visible facial hair. According to a recent study done by BristolMyers, more than 20 million women in the United States alone remove their unwanted facial hair each week. Since there are so many different methods and products on the market, it is hard to tell which is the most effective. Here are five different ways for women to deal with or remove unwanted facial hair.